I was born in Yokohama, Japan in 1928. My father was a fun loving man who enjoyed life to the full. He loved to cook, and owned a large restaurant. It was often hired by businessmen and local dignitaries for private parties where they could eat, drink and be entertained by Geisha. This all came to and end when we were forced to move to the country to avoid American bombers during the war. School life was hard, and senior students would often beat the younger children for no reason. It was very militaristic, we looked upon our teachers as gods, I suppose it was just like the Samurai and his Lord. I desperately wanted to become a soldier but was too young. I tried to join a naval academy but was rejected due to an eye problem. In hindsight I was actually quite lucky as they were all training to be Kamikaze pilots but at the time I was devastated. I was raised with the Bushido code, to die for my emperor and country would have been a great honour. It was while at school that I had my first taste of martial arts. We practiced Kendo every day. When I was 14 years old I met one of my school friends older brother. He had studied Wado Ryu Karate while at university; from then on whenever he came home I would ask him to teach me. Eventually he agreed, it was all fighting – nothing technical. After the war my family moved back to Yokohama. The Americans were occupying Japan and despite my hatred of them I ended up working at one of their army bases as a cleaner. Government propaganda had turned Americans into demons that killed our men and raped our women. Through working at the base I came to realise that this was a lie. At that time food was scarce, we were living off insects and rice. The Americans gave us food, chocolate and of course Coca Cola. I loved it, it was all I ever wanted to drink, now I hate the stuff! I decided to learn English and went to the local YMCA where they held classes. Once there I discovered that they also taught Karate. I knew that it was Karate that I wanted to do and soon forgot about learning English. The instructor there was a man called Mr. Kimura. He was one of Professor Ohtsuka’s best students. Professor Ohtsuka was the founder of Wado Ryu Karate. The Americans had banned all martial arts so we had to call Karate, Japanese boxing. I trained at the YMCA for about 6 months before we had to move on. We would train wherever we could, in gardens or fields, in the rain and snow, anywhere the American’s could not find us. Kimura was a very intelligent man with a very sharp technique. He was a 5th Dan at the time the highest grade in Japan. I was fascinated by the way of the warrior and the samurai code. I read books on Budo, Bushido and Hagkure. As a boy I dreamt of being a samurai hero. After the war we were not allowed swords, so I looked for a martial art without weapons. In Judo it was always the big guy who won, but Karate was different. With speed, timing and good spirit I could defeat any opponent large or small. Post-war Japan saw the Japanese people embrace everything American, baseball, coke, Elvis. I wanted to give the world something Japanese. I decided to become a great martial artist so I could teach the world about the Japanese spirit. When I first started I was only training four hours a day that eventually increased to 10. Everyone thought I was crazy but I believed that to be the best I had to work longer and harder than anyone else. I would train in a shrine garden near my home until well into the early hours of the morning. By wearing my gi (the white Karate outfit) I inadvertently started a rumour of a ghost who stalked the shrine at night. At the end of every year I would go up to a temple in the mountains for two weeks. There I would train every day from morning until night, only stopping for one small meal. To eat any more would make me sick. My day would start with a run, followed by Zen meditation. After that I would practice my punching by extinguishing a candle flame with just the force of my punch. Next I would work on my kicks by wearing iron boots. This built strength and speed. My favourite technique was the sokuto (side kick), Ohtsuka sensei would tell students, if you wish to practice sokuto go see Mr. Suzuki. Suzuki Sensei extinguishing a candle with a punch! That would be followed by three hours of fighting with my fellow students. By the end we would be physically exhausted. To end the day I would practice kata (set moves against imaginary attackers). I would perform each kata three times. When finished my body would feel great all the days aches and pains gone. I would travel to Tokyo several times a week to train with Ohtsuka sensei. He was a truly great man. Away from Karate he was a gentleman but inside the dojo he was like a true samurai. He would train with us as well as teach us. Many of his senior black belts had returned from the war, they were tough both physically and mentally. The fighting in those lessons was extremely hard. In the old days fighting was different than it is today. There were no rules, any technique was allowed; kicks to the groin, strikes to the eyes or throat. Contests would be organised between the various universities. We would visit with a team of 10 fighters – to us they were the enemy, especially if they practiced a different style. Nowadays most styles fight pretty much the same way, but back then I could tell a person’s style of Karate from the way he fought. Shotokan fighters were very stiff and liked lots of room, whereas Goju Ryu liked to get in close – Wado Ryu would be somewhere in between. The home crowd would be crying for blood and would often try to hit us with sticks or whatever they could lay their hands on. The senior students would referee but would rarely stop a fight unless it looked as if one of us was about to be killed. We would end up fighting on blood-soaked floors. No pads or guards were worn, it was all bare fists. Many people lost teeth or broke noses or other bones. Eventually the heads of all the styles got together to devise competition rules. They were concerned that potential students were being put off. In 1963 I and two other students traveled the world demonstrating Wado Ryu Karate. This resulted in offers from several countries to come and teach. I narrowed it down to either Britain or America, as English was the only other language that I could speak. I was offered a sponsorship deal by some American businessmen, but a leading Shotokan instructor, Ohshima, was already teaching there so I declined. I moved to England in January 1965. It was hard to settle at first. My English was very basic, I had to take a Japanese/English phrase book to lessons to try to explain my teaching. As I was the only Japanese instructor in England everyone wanted me to teach them. Demands on my time were so great that I had no time to do any other work. At first I thought that it would be difficult to teach westerners an oriental martial art. Back in Japan I had been told that Westerners could not move as we did because they sat on chairs as opposed to the floor, as a result they had no hip power ­obviously this was wrong. I missed Japan, I was living in a bed-sit that would get so cold that it would be impossible to sleep. I would have to train to warm-up before going to bed. There were no Japanese shops and I longed to eat some Japanese food. Suzuki Sensei – Kobayashi – KitamuraThe whole profile of martial arts in the west took a great leap forward during the so-called ‘Bruce Lee boom’. I found myself on TV and in the papers all of the time. This kind of attention always attracts people out to prove themselves. None of them were any good. There was once a Hungarian man who claimed to be one of Bruce Lee’s top students, after one month’s training with him, a student would be able to beat any opponent. I was outraged by this claim so I contacted the paper that ran the article and challenged him to a fight under any rules that he cared to set. I waited but heard nothing, so even­tually I rang them back. He had told them that he had already beaten me and saw no reason to fight me again. I laughed, he was obviously scared to face me man-to-man. Over the years I have proved myself and gained people’s respect. I still like a good fight though. Most days I spar with Kevin, an instructor at my London dojo, it helps to keep me sharp. I had several jobs while I lived in Japan, which sometimes required me to use Karate, including nightclub bouncer and bodyguard. There was often friction with the yakuza (Japanese gangsters). I once found myself up against a local yakuza gang. I was alone but there were about 20 of them. I backed up to a wall and picked up a large rock. If I stepped forward they would move back, if I moved back then they would move forward. Luckily one of my friends was passing by on his way to buy some sake and saw what was happening. He run back to our house and returned with help. Even though there were only 5 us of against 20 of them, the yakuza were terrified. One of their gang had recently lost an eye in a fight with a Karate man. I dropped the leader with a blow to the groin and knocked out another one who came at me with a knife. The rest of them eventually managed to run off. I realised that I had lost my university cap – I would be in serious trouble if it were to be found by the police. I searched everywhere for it and eventually found it under the body of a yakuza. The next day I scoured the papers for reports of a dead body but found nothing – I guess no one was seriously hurt. Fear with regards to fighting can be overcome by mental training. It’s a vital aspect of Karate training. It is important when fighting to have a strong spirit and a brave heart. When attacked you must never be scared or startled. You must believe in yourself this is difficult to achieve. A famous samurai was once asked what he would do if he were attacked in the street. He replied that he would move towards his attacker so that he could not strike down with his sword. To back off or freeze would mean death. I would often go to monasteries to learn Zen meditation from the monks. A samurai would not fear death before battle, this was the state of mind that I aimed to reach. I am always careful though, and will never change in believing that I am invincible. You must be wise and careful. These days too many people stop training once they pass 2nd or 3rd Dan, they don’t realise that belts are not important. Grades mean nothing, all that matters is to train hard. Many people call themselves 10th or even 12th Dan, but most of them are rubbish. When I was awarded my 5th Dan no university student had ever been graded so high. I did not want this and asked Ohtsuka sensei not to give it to me but he insisted. It was the same for my 8th Dan. Over the years I have been offered 10th Dan but refused it. It would mean nothing to me, the only man worthy of giving me a grade was Ohtsuka sensei and he is dead. It is still important for me to train regularly. It can be difficult though, demands on my time have increased tremendously over the past few years. As well as my own training I teach twice a week at my London dojo. I am also the head of a very large Karate federation, the Wado International Karate-Do Federation (W.I.K.F), I travel extensively both here and abroad holding courses for my members. Tatsuo Suzuki and Hiroji FukazawaI have sensed a definite shift towards the more traditional aspects of Karate recently. There has been an increased attendance from non-W.I.K.F students at my courses. This pleases me because I feel very strongly that all clubs should have a thorough grounding in the traditional aspects of their style, eve if their bias is towards sport Karate. As a response to this I have re-organised my federation in the UK. Large clubs and organisations can now affiliate with the W.I.K.F and enjoy all the benefits of our courses, competition (both in the UK and abroad) and our guidance, but still keep much of their financial independence. I feel now that it’s time for all Wado groups to work closer together whether it be through courses or competition. The fact that we all practice Wado Ryu Karate means that we are all brothers and sisters. Shotokan (松濤館流, Shōtōkan-ryū?) is a style of karate, developed from various martial arts by Gichin Funakoshi (1868–1957) and his son Gigo (Yoshitaka) Funakoshi (1906–1945). Gichin was born in Okinawa and is widely credited with popularizing karate through a series of public demonstrations, and by promoting the development of university karate clubs, including those at Keio, Waseda, Hitotsubashi (Shodai), Takushoku, Chuo, Gakushuin, and Hosei. Funakoshi had many students at the university clubs and outside dojos, who continued to teach karate after his death in 1957. However, internal disagreements (in particular the notion that competition is contrary to the essence of karate) led to the creation of different organizations—including an initial split between the Japan Karate Association (headed by Masatoshi Nakayama) and the Shotokai (headed by Motonobu Hironishi and Shigeru Egami), followed by many others—so that today there is no single “Shotokan school”, although they all bear Funakoshi’s influence. Shotokan was the name of the first official dojo built by Funakoshi, in 1939 at Mejiro, and destroyed in 1945 as a result of an allied bombing. Shoto (松濤, Shōtō? ), meaning “pine-waves” (the movement of pine needles when the wind blows through them), was Funakoshi’s pen-name, which he used in his poetic and philosophical writings and messages to his students. The Japanese kan (館, kan?) means “house” or “hall”. In honour of their sensei, Funakoshi’s students created a sign reading shōtō-kan which was placed above the entrance of the hall where Funakoshi taught. Gichin Funakoshi never gave his style a name, just calling it “karate”. Shotokan training is usually divided into three parts: kihon (basics), kata (forms or patterns of moves), and kumite (sparring). Techniques in kihon and kata are characterized by deep, long stances that provide stability, enable powerful movements, and strengthen the legs. Shotokan is often regarded as a ‘hard’ and ‘external’ martial art because it is taught that way to beginners and coloured belts to develop strong basic techniques and stances. Initially strength and power are demonstrated instead of slower, more flowing motions. Those who progress to brown and black belt level develop a much more fluid style which incorporates grappling and some aikido-like techniques, which can be found in the black belt katas. Kumite techniques mirror these stances and movements at a basic level, but are less structured, with a focus instead on speed and efficiency. Gichin Funakoshi laid out the Twenty Precepts of Karate,(or Niju kunwhich form the foundations of the art, before some of his students established the JKA. Within these twenty principles, based heavily on Bushido and Zen, lies the philosophy of Shotokan. The principles allude to notions of humility, respect, compassion, patience, and both an inward and outward calmness. It was Funakoshi’s belief that through karate practice and observation of these 20 principles, the karateka would improve their person. The Dojo kun lists five philosophical rules for training in the dojo; seek perfection of character, be faithful, endeavor to excel, respect others, refrain from violent behavior. The Dojo kun is usually posted on a wall in the dojo, and some shotokan clubs recite the Dojo kun at the beginning and/or end of each class to provide motivation and a context for further training. Funakoshi also wrote: “The ultimate aim of Karate lies not in victory or defeat, but in the perfection of the character of the participant. Many terms used in karate stem from Japanese culture. While many are names (e.g. Heian, Gankaku), others are exclusive to martial arts (e.g. kata, kumite). Many terms are seldom used in daily life, such as zenkutsu dachi, while others appear routinely, such as rei. The Japanese form is often retained in schools outside of Japan to preserve the Okinawan culture and Funakoshi’s philosophies. However, many schools of JKA (Japan Karate Association) affiliated Shotokan Karate used the full terminology on a daily basis, providing translations also. For example the KUI (Karate Union of Ireland), utilises the full and proper Japanese name for each move and kata in training, grading and competition. Rank is used in karate to indicate experience, expertise, and to a lesser degree, seniority. As with many martial arts, Shotokan uses a system of colored belts to indicate rank. Most Shotokan schools use the kyū / dan system but have added other belt colors. The order of colors varies widely from school to school, but kyu belts are denoted with colors that in some schools become darker as a student approaches shodan. Dan level belts are invariably black, with some schools using stripes to denote various ranks of black belt. Kata is often described as a set sequence of karate moves organized into a pre-arranged fight against imaginary opponents. The kata consists of kicks, punches, sweeps, strikes, blocks, and throws. Body movement in various kata includes stepping, twisting, turning, dropping to the ground, and jumping. In Shotokan, kata is not a performance or a demonstration, but is for individual karateka to practice full techniques—with every technique potentially a killing blow (ikken hisatsu)—while paying particular attention to form and timing (rhythm). As the karateka grows older, more emphasis is placed on the health benefits of practicing kata, promoting fitness while keeping the body soft, supple, and agile. Several Shotokan groups have introduced kata from other styles into their training. The original Shotokan kata syllabus is introduced in Funakoshi’s book “Karate-do Kyohan”, which is the Master Text of Shotokan karate. Dai Nihon Karate-do Shotokai is the official representative of Shotokan karate. Japan Shotokai’s kata syllabus is the same as established in “Karate-do Kyohan” added Gigo Funakoshi’s staff kata Matsukaze No Kon. 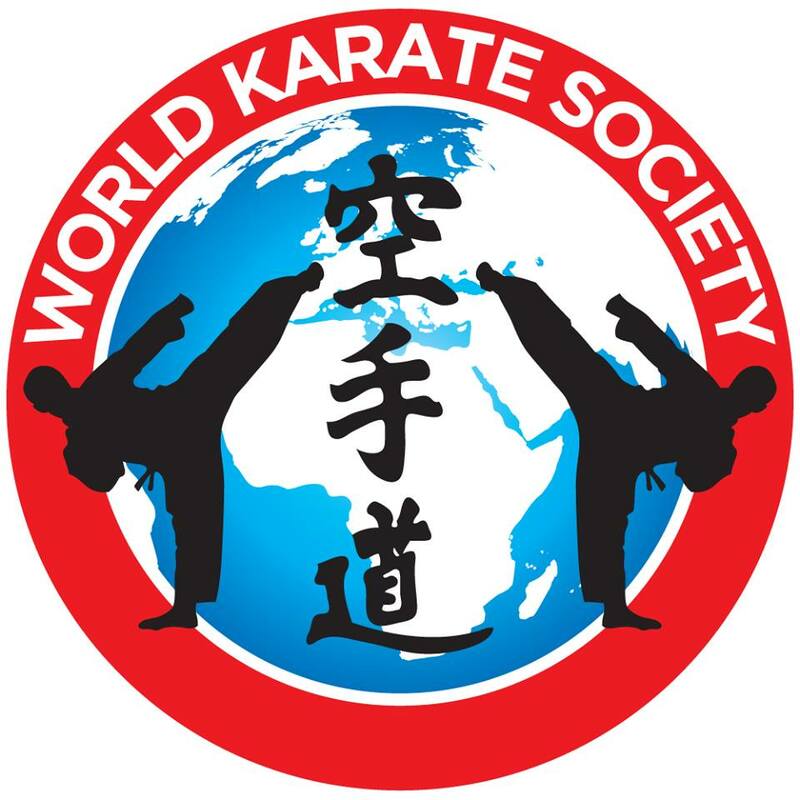 When the JKA was formed, Nakayama laid down 27 kata as the kata syllabus for this organization. Even today, thousands of Shotokan dojo only practice 26 of these 27 kata. The standard JKA kata are: Taikyoku shodan (sometimes termed Kata Kihon or Kihon Kata, discontinued in most of today’s Shotokan dojos) (太極初段), Heian shodan (平安初段), Heian nidan (平安二段), Heian sandan (平安三段), Heian yondan (平安四段), Heian godan (平安五段), Bassai dai (披塞大), Jion (慈恩), Empi (燕飛), Kanku dai (観空大), Hangetsu (半月), Jitte (十手), Gankaku (岩鶴), Tekki shodan (鉄騎初段), Tekki nidan (鉄騎二段), Tekki sandan (鉄騎三段), Nijūshiho (二十四步), Chinte (珍手), Sōchin (壯鎭), Meikyō (明鏡), Unsu (雲手), Bassai shō (披塞小), Kankū shō (観空小), Wankan (王冠), Gojūshiho shō (五十四歩小), Gojūshiho dai (五十四歩大), and Ji’in (慈陰). Kumite, or sparring (lit. Meeting of hands), is the practical application of kata to real opponents. While the techniques used in sparring are only slightly different than kihon, the formalities of kumite in Shotokan karate were first instituted by Masatoshi Nakayama wherein basic, intermediate, and advanced sparring techniques and rules were formalized. Shotokan practitioners first learn how to apply the techniques taught in kata to hypothetical opponents by way of kata bunkai. Kata bunkai then matures into controlled kumite. Kumite is the third part of the Shotokan triumvirate of kihon, kata and kumite. Kumite is taught in ever increasing complexity from beginner through low grade blackbelt (1st – 2nd) to intermediate (3rd – 4th) and advanced (5th onwards) level practitioners. Beginners first learn kumite through basic drills, of one, three or five attacks to the head (jodan) or body (chudan) with the defender stepping backwards whilst blocking and only countering on the last defence. These drills use basic (kihon) techniques and develop a sense of timing and distance in defence against a known attack. At around purple belt level karateka learn one-step sparring (ippon kumite). Though there is only one step involved, rather than three or five, this exercise is more advanced because it involves a greater variety of attacks and blocks usually the defenders own choice. It also requires the defender to execute a counter-attack faster than in the earlier types of sparring. Counter-attacks may be almost anything, including strikes, grapples, and take-down manoeuvres. Some schools prescribe the defences, most notably the Kase-ha Shotokan-ryū which uses an eight step, three directional blocking and attacking pattern which develops from yellow belt level right through to advanced level. The next level of kumite is freestyle one-step sparring (jiyu ippon kumite). This type of kumite, and its successor—free sparring, have been documented extensively by Nakayamaand are expanded upon by the JKA instructor trainee program, for those clubs under the JKA. Freestyle one-step sparring is similar to one-step sparring but requires the karateka to be in motion. Practicing one-step sparring improves free sparring (jiyu kumite) skills, and also provides an opportunity for practicing major counter-attacks (as opposed to minor counter-attacks). Tsutomu Ohshima states that freestyle one-step sparring is the most realistic practice in Shotokan Karate, and that it is more realistic than free sparring. Free sparring (jiyu kumite) is the last element of sparring to be learned. In this exercise, two training partners are free to use any karate technique or combination of attacks, and the defender at any given moment is free to avoid, block, counter, or attack with any karate technique. Training partners are encouraged to make controlled and focused contact with their opponent, but to withdraw their attack as soon as surface contact has been made.This allows a full range of target areas to be attacked (including punches and kicks to the face, head, throat, and body) with no padding or protective gloves, but maintains a degree of safety for the participants. Throwing one’s partner and performing takedowns are permitted in free sparring, but it is unusual for competition matches to involve extended grappling or ground-wrestling, as Shotokan karateka are encouraged to end an encounter with a single attack (ippon), avoiding extended periods of conflict or unnecessary contact in situations where there is likely to be more than one attacker. Kaishu ippon kumite is an additional sparring exercise that is usually introduced for higher grades. This starts in a similar manner to freestyle one-step sparring; the attacker names the attack he/she will execute, attacks with that technique, and the defender blocks and counters the attack. Unlike freestyle one-step sparring, however, the attacker may then be required to block the defender’s counter-attack and strike back. This exercise is often considered more difficult than either freestyle one-step sparring or free sparring, as the defender typically cannot escape to a safe distance in time to avoid the counter to the counter-attack. Kumite within the dojo often differs from competition kumite. In dojo kumite any and all techniques, within reason, are valid; punches, knife hand strikes, headbutt, locks, takedowns, kickes, etc. In competition certain regulations apply, certain techniques are valid, and certain target areas, such as the joints or throat, are forbidden. The purpose of competition is to score points through the application of kumite principles while creating an exciting and competitive atmosphere, whereas the purpose of training kumite in the dojo is to be prepared to kill or cripple an opponent in a realistic situation. Kihon basics is the practice of basic techniques in Shotokan Karate. Kihon Kata, or Taikyoku Shodan, was developed by Yoshitaka Funakoshi, the son of Gichin Funakoshi, as a basic introduction to karate kata. (Yoshitaka also developed Taikyoku Nidan and Sandan) The kata consists of successive restatements of the theme of gedan barai – oi tsuki. Gichin Funakoshi had trained in both of the popular styles of Okinawan karate of the time: Shōrei-ryū and Shōrin-ryū. After years of study in both styles, Funakoshi created a simpler style that combined the ideals of the two. He never named his style, however, always referring to it simply as “karate.” Funakoshi’s karate reflects the changes made in the art by Ankō Itosu, including the Heian/Pinan kata series. Funakoshi changed the names of some of the kata in an effort to make the Okinawan kata names easier to pronounce in the Japanese Honshū dialect. Funakoshi awarded the first 1st dan (初段; shodan) Shotokan karate ranks to Tokuda, Hironori Ōtsuka (Otsuka), Akiba, Shimizu, Hirose, Makoto Gima, and Shinyō Kasuya on 10 April 1924. Former UFC Light Heavyweight champion Lyoto Machida holds a 3rd dan black belt in Shotokan karate, while his brother Shinzo holds a 4th dan and their father Yoshizo holds a 7th dan and was head of the Japan Karate Association’s Brazilian branch. Several other mixed martial artists also have a Shotokan background or utilize Shotokan (e.g., Vitor Belfort, Antonio Carvalho, Mark Holst, Assuerio Silva). Action movie star Jean-Claude Van Damme holds a black belt in Shotokan and used the style when he competed in full contact karate competitions in the 1970s and 1980s. Welcome to the Karate GB website we hope it’s a help for Karate students no matter what level you have achieved, we will be adding more informative items to site over the coming months and look forward to receiving articles of interest and events from clubs and Sensei’s from all over the UK. If you do want to add your clubs details then please contact us with and we will gladly add any events or stories of interest. What can be achieved at 4!